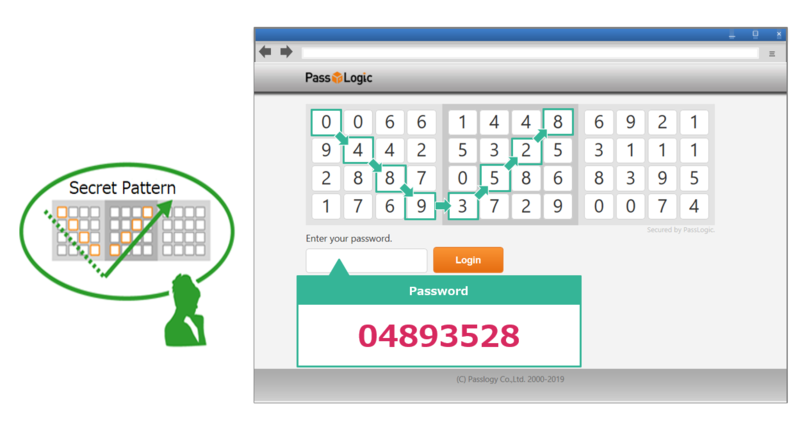 Each time a user goes to log in, the grid will be filled with a new table of random numbers and will be displayed above the password entry field. Alice will now have a new password each time she logs in. The only thing Alice needs to remember is her secret pattern. 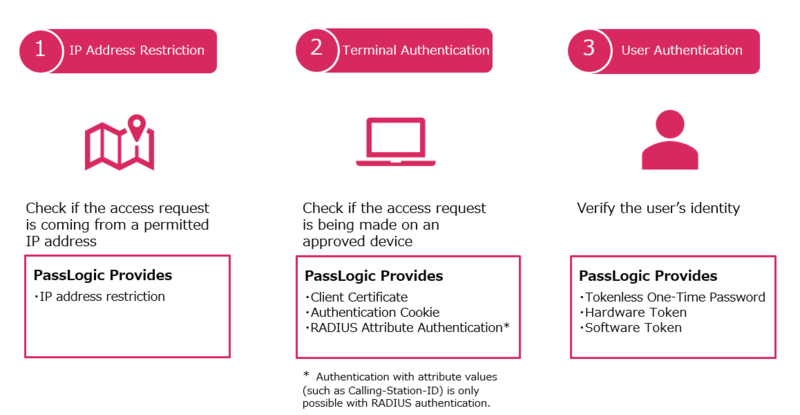 The PassLogic method provides the security of one-time passwords without the costs of provisioning and maintaining hardware or software tokens. This feature can be used to comply with a policy that requires passwords that include alphabetic characters or special symbols. 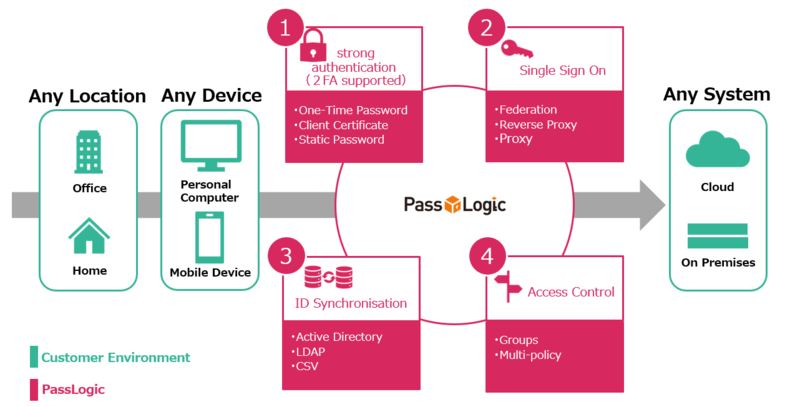 PassLogic provides fine-grained security controls on a single or split server to prevent unauthorised access.